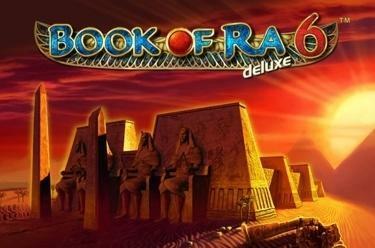 Play Book of Ra™ deluxe 6 online for free now! Are the treasure chambers of the ancient Pharaohs not big enough for you? Then we have just the ticket for you! Book of Ra™ deluxe 6 takes you deeper into the mysterious pyramids and activates another reel! More reels - higher winnings! Play the Egyptian classic, follow the trail of Ra's Book on 6 reels and obtain the gold of the ancient kings for your player account! 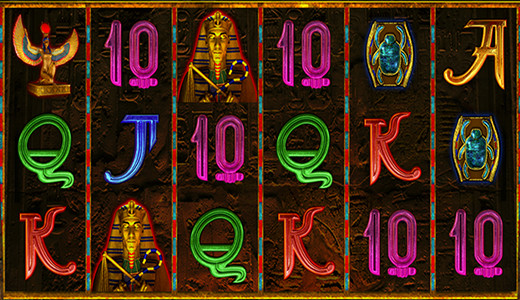 Land 3 or more 'Book' symbols anywhere on the reels to trigger 10 golden Free Spins with an extra bonus symbol. A bonus symbol from Ra's Book is randomly chosen when you enter your first free spin. The bonus symbol expands to all 3 reel positions in the Free Game and pays in any position.